We can provide a number of materials, in varying sizes, depending on the nature of your project. At B&M Skips, we don’t simply provide skips. We can also supply the materials needed to complete the jobs that you may need for your residential or commercial property. We can provide a number of materials, in varying sizes, depending on the nature of your project. 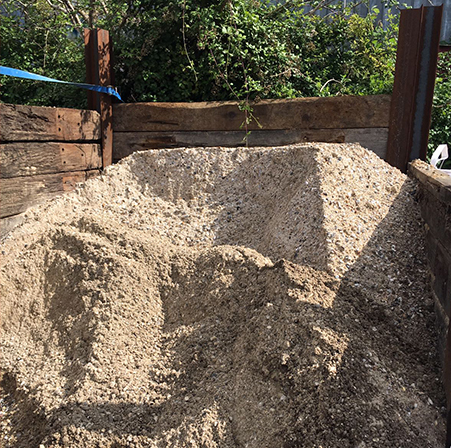 Let’s face it; the choice of aggregate is crucial for your construction and could be the key to lasting results. Here is the essential information that you may need. 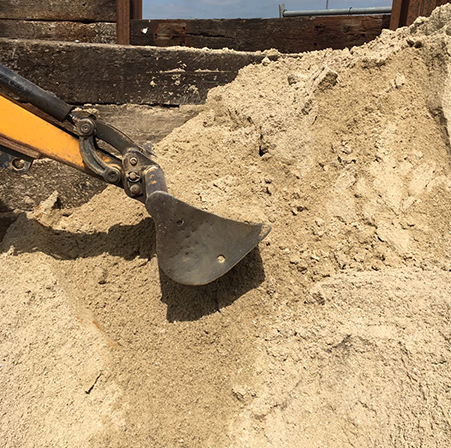 Sharp sand is a versatile material that can be applied to various construction tasks. It is most commonly mixed with concrete and has a gritty texture that makes an ideal base for laying pavement or fixing garden space. Especially when it requires good drainage properties. Sharp sand is the type that is often seen in hourglasses. It isn’t, however, suitable for sandpits and other play areas. Moreover, it’s best used when strength is prioritised over flexibility. Building sand is a type of soft mortar sand, which is most commonly used when a smooth finish is required. This could be bricklaying or a variety of other construction purposes, such as internal rendering, as well as bedding ponds. 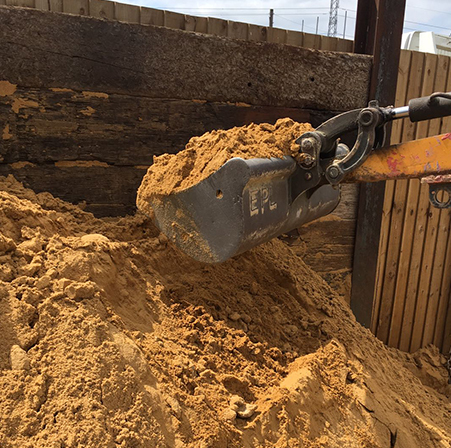 We provide building sand in a number of sizes. Colours of the natural product can vary, but quality will always be the highest possible standard. An all in one ballast is a mixture of sharp sand and gravel. It is most commonly mixed with cement powder to create concrete and is suitable for all types of general building use. We can provide the construction material in a variety of sizes. 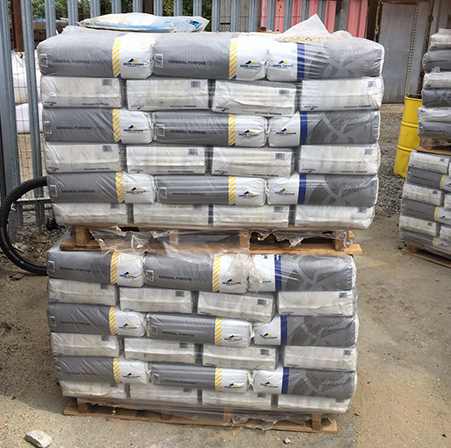 All in one ballast is particularly versatile, making it a great candidate for repair jobs or completed unfinished tasks. Type One consists of either crushed granite, limestone or clean crushed concrete. This type of ballast is most often used as a sub-base for roads, paths and driveways, along with being ideal for building sub-bases. Type One is also used for hard-standings and haul roads. 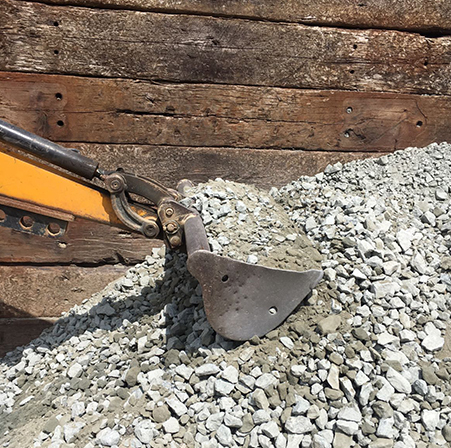 Cement is made from sand, gravel and cement. Cement is a highly used product. Whether you are regrouting your garden tiles, building a garden fence that needs fitting into the ground or fixing bricks which have come loose from a wall, cement can fix each of these problems. No matter the type or size of the project we can provide a winning solution. If you’re still unsure, get in touch today. We’ll soon provide you with the materials needed to construct a better future.